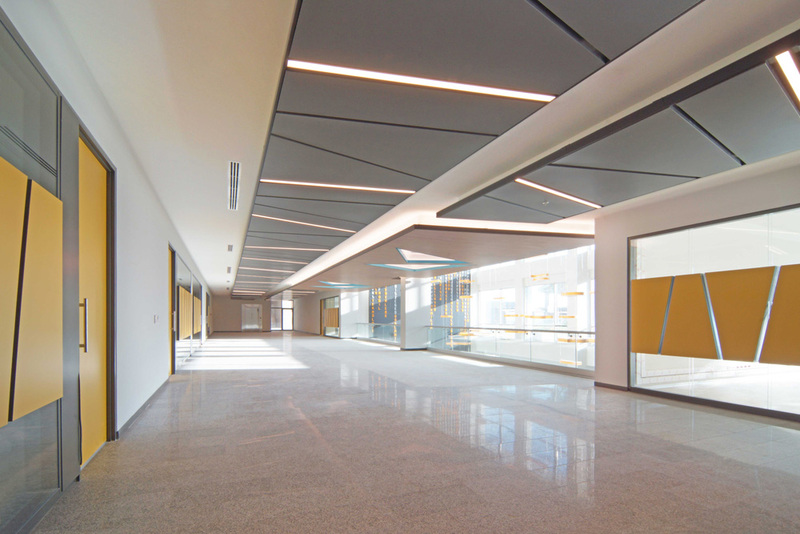 This project belongs to the entrance and exhibition hall of the administrative tower of a technopark complex in Muallimköy – Gebze named Bilisim Vadisi. 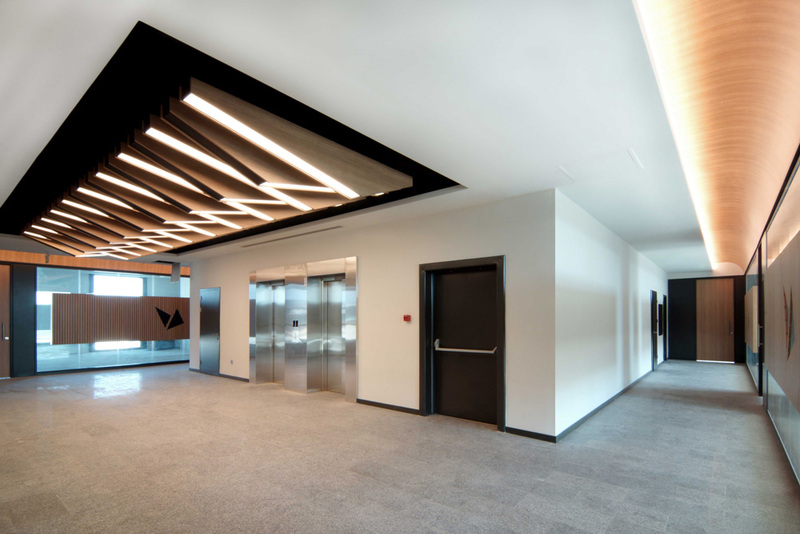 The entrance hall, exhibition hall, commercial areas and VIP entrance are the main functions of this project which are in the entrance floor of 16 storey tower. The main conceptual design of the interior spaces were determined to base on the idea that should reflects the main function of the complex which creates technology. 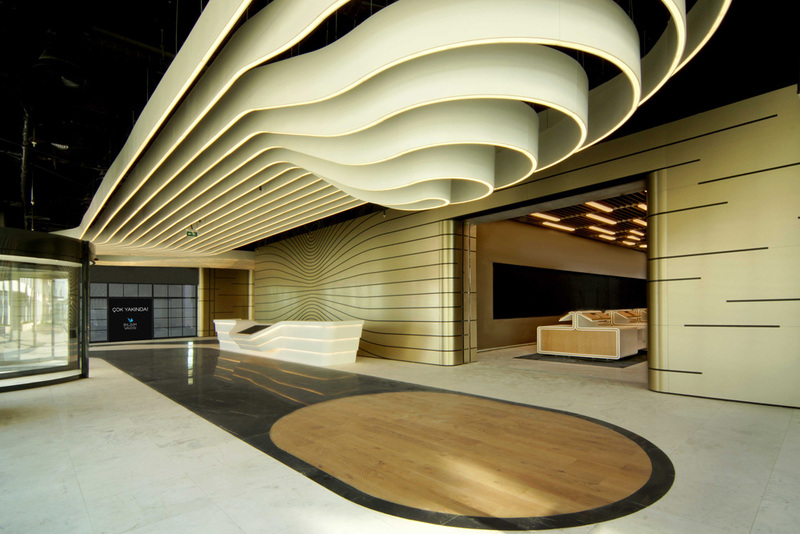 Accordingly the interior spaces were designed in accordance with organic and curvy forms which is more suitable for technological design language. Additionally the material choices were also selected to emphasize the same idea. Moreover the special technological units such as robotic arms, hologram, inter active led screen were also integrated to the design of interior spaces in order to emphasize the conceptual idea. 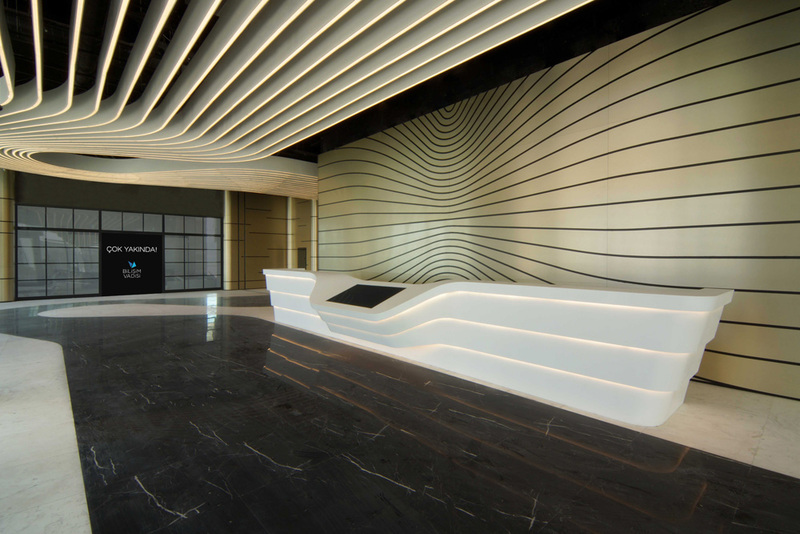 The 3 robotic arms which placed over the reception desk, create a synchronized movement for the visitors in order to inform them and also create their first impression about the building and complex. 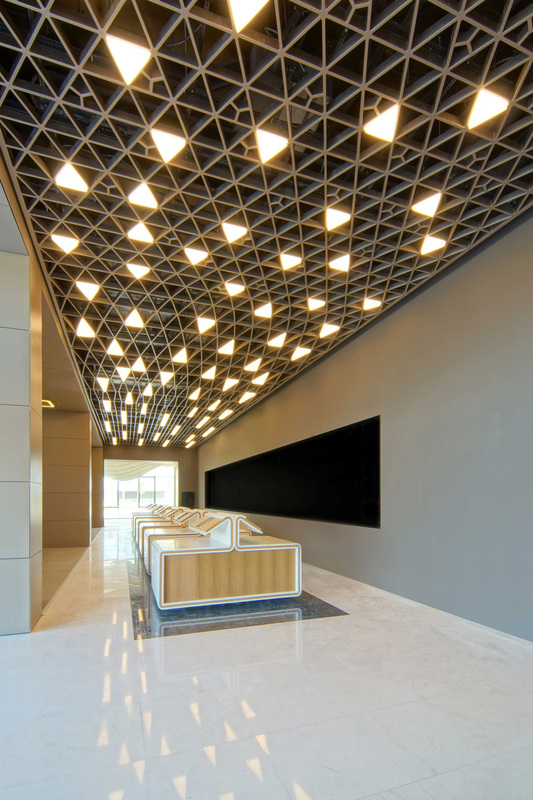 The special ceiling unit was designed for creating the impression of space continuity and also for the lighting purpose. The exhibition hall of Bilisim Vadisi was designed according to our client’s brief which should reflects the voyage of the technology from past until now. So this voyage had been reinterpreted as modern and contemporary design language. 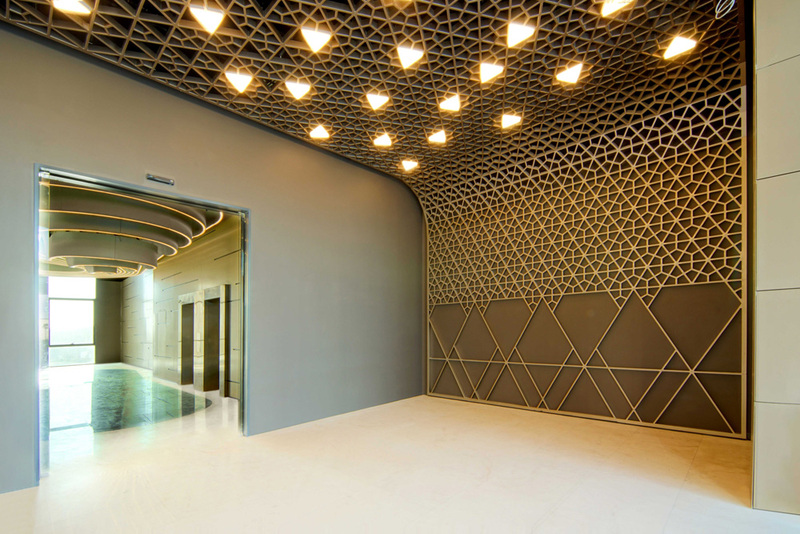 A new pattern had been designed, which covers the ceiling starting from wall, is reflecting the meaning of this voyage. The form of this pattern starts from the Turkish cultural shapes, then gradually changes the forms of itself as modern language with evolving. Additionally the giant led screen which placed on the same space is also helps to turn this exhibition hall as event and invitation hall. The special façade panels that contains the coding language (0 and 1 numbers) was also designed to create sun control. 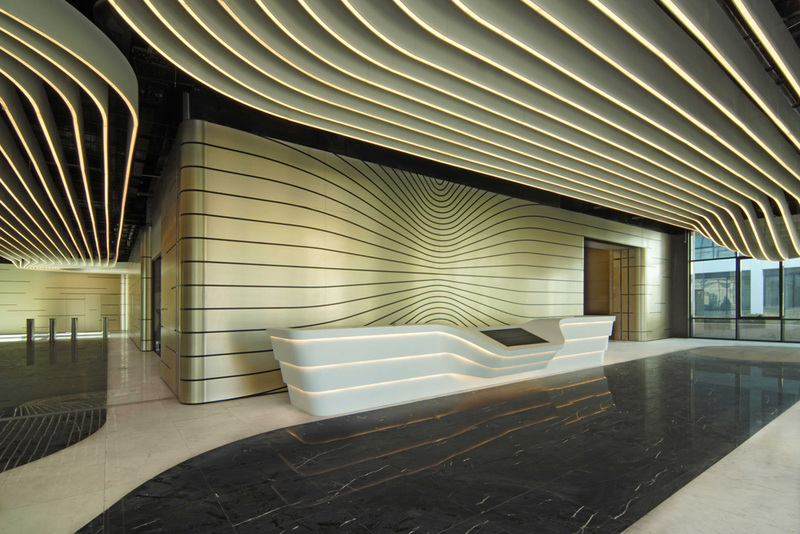 In general sense, the main conceptual criteria for this entrance floor of Bilisim Vadisi was determined to be designed according to the company identity, field of business and user profile. Consequently our aim is to give the sense of belonging to this space for users and visitors.